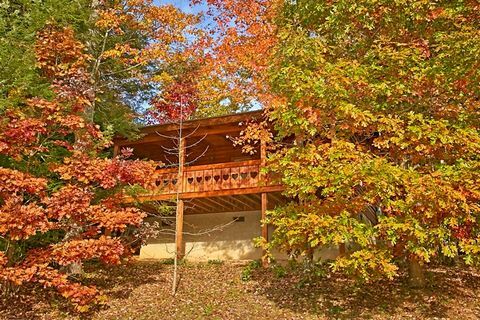 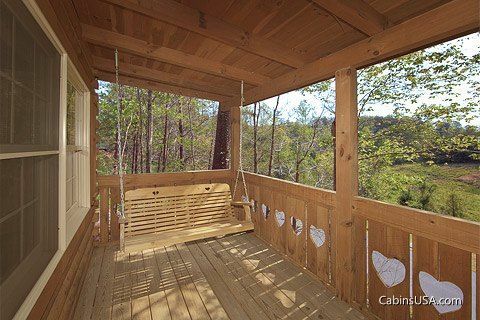 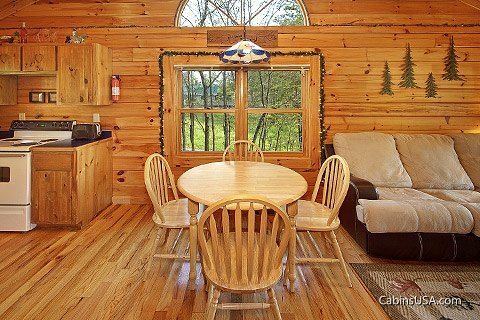 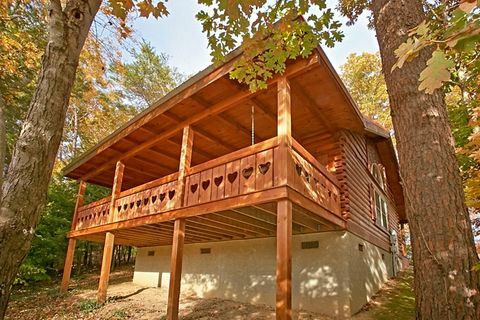 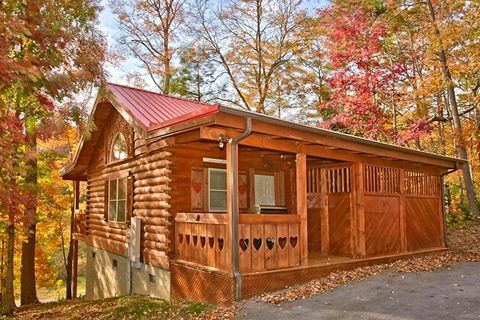 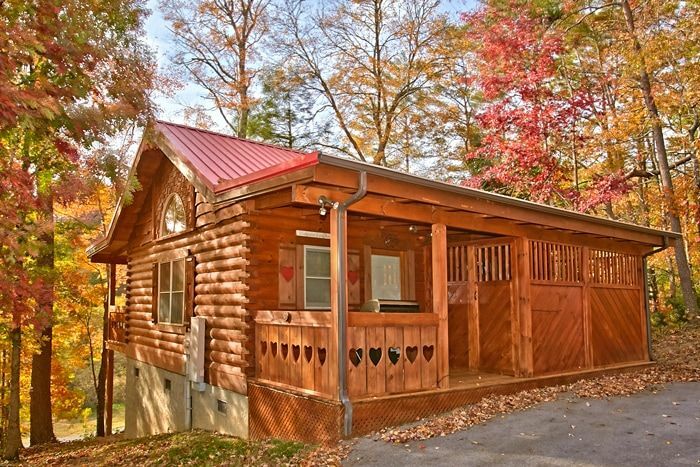 "Heart To Heart ," a Waldens Creek cabin rental in Laughing Pines Resort, is great for honeymoon couples and small families looking to get away to the mountains. 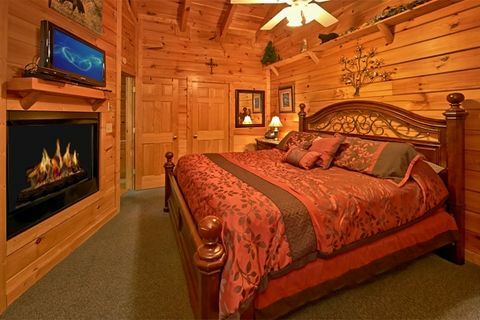 Minutes off the Pigeon Forge Parkway, you and your guests can enjoy fast access to many of the Smoky Mountains area attractions, while at the same time enjoying relaxation in the tranquil wooded Smokies setting of Laughing Pines Resort. 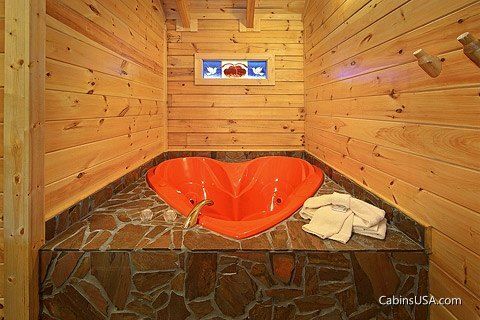 Your beautiful Waldens Creek area cabin’s master suite offers a king size bed with in-room heart shaped jacuzzi tub for two. 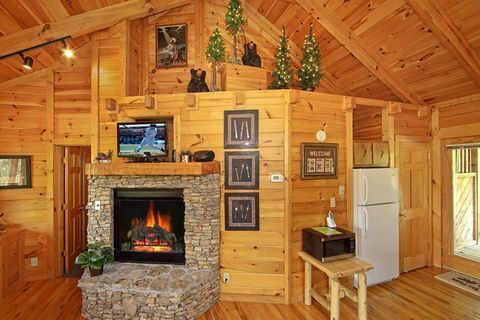 Additionally, the double-sided fireplace provides its warm glow into your cozy bedroom as well as the living room. 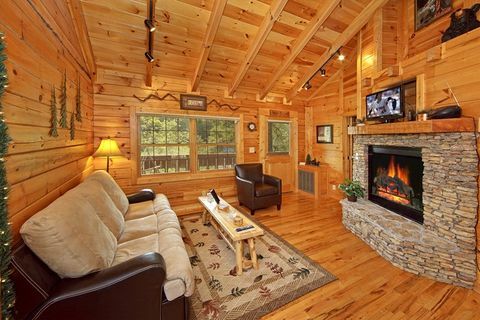 In the living room, a sleeper sofa provides additional sleeping space for 2 people and a television offers a chance to watch your favorite films with that special someone. 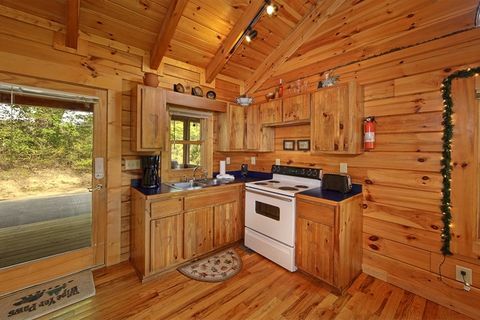 The corner kitchen gives guests a chance to cook romantic dinners to enjoy at the cozy dining table. 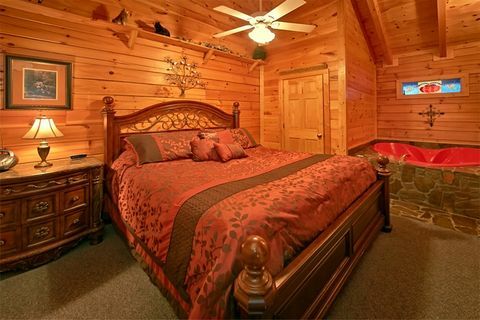 After a full day exploring Pigeon Forge, Gatlinburg, and the Smoky Mountains area, come back and relax at your Walden's Creek cabin rental with WiFi, 2 flat screen televisions, DVD players, and a standup video arcade featuring Pacman, Ms. Pacman, and Galaga, providing several options for continued fun in your cabin. 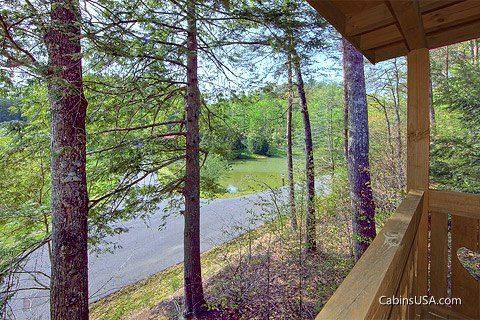 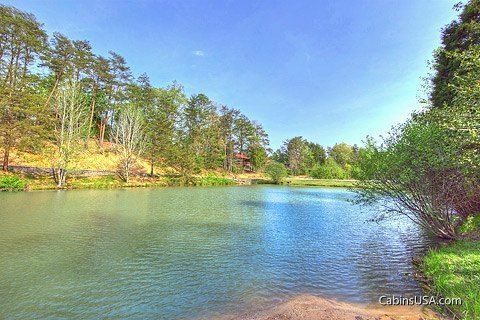 Outside, enjoy splendid views of neighborhood fishpond from the back porch's swing or rocking chairs. 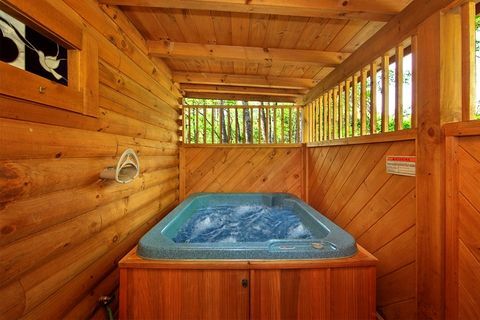 Couples will enjoy the privacy provided by the enclosed deck that houses the relaxing hot tub. 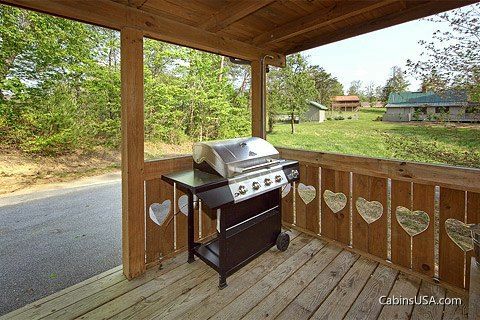 Your gas grill provides a chance to enjoy a cookout in the mountains. 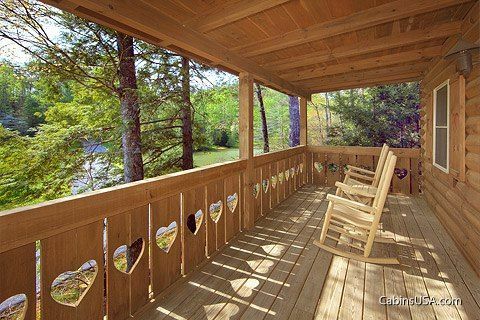 Enjoy relaxation at "Heart to Heart." 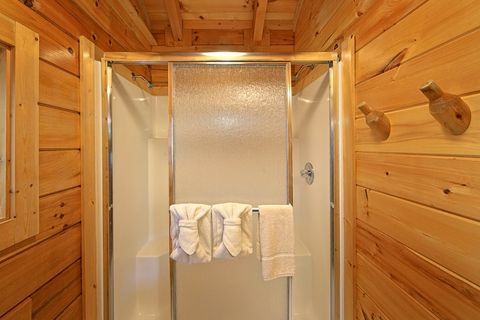 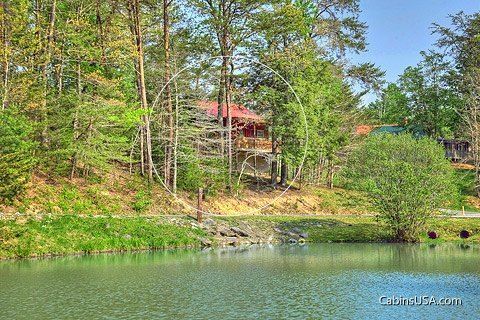 Book your Waldens Creek cabin rental in Laughing Pines Resort online and you’ll get an immediate Online Cabin Discount!